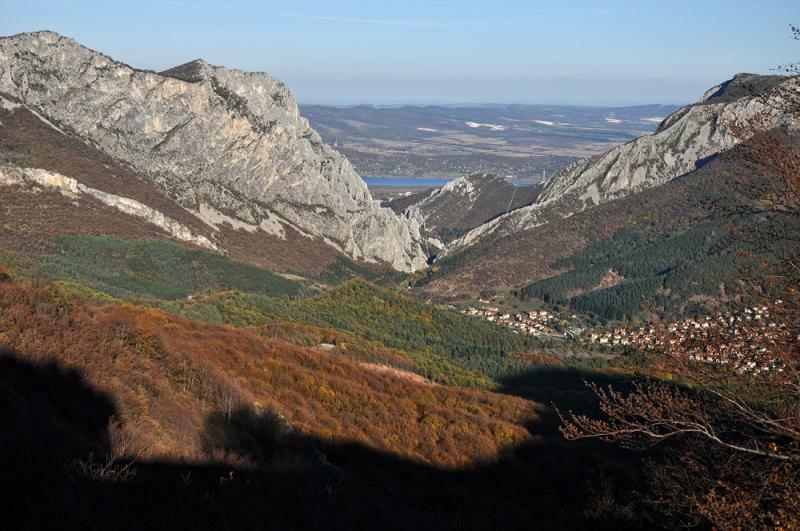 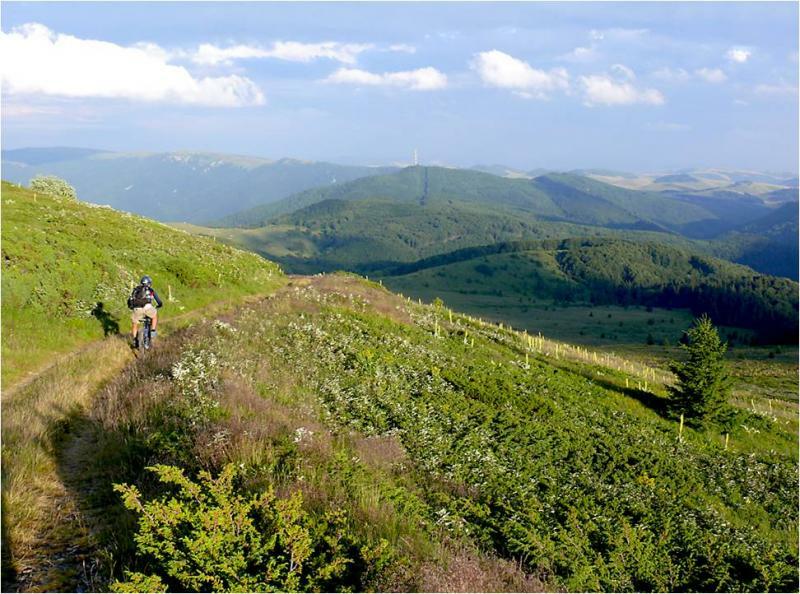 Unique combination of walking and mountain biking routes, revealing the best of the Western Balkan Mountains landscapes, Karst formations, caves, gorges, waterfalls, monasteries, historical landmarks, eco-trails, rare flora and fauna, and nature reserves. 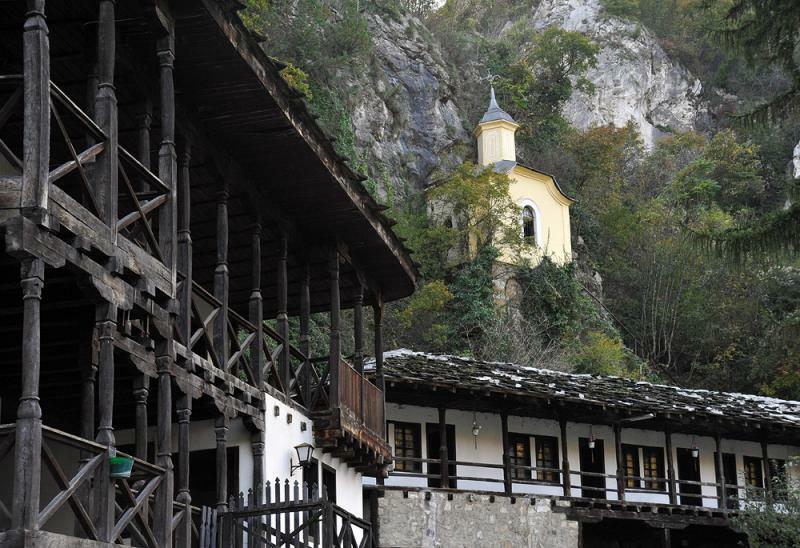 We explore on foot and on a bike saddle the hidden trails in the alpine meadows of the mountains, the old Beech forests, the sinister caves with amazing stalactites and not the least the local traditions, cuisine and habits. 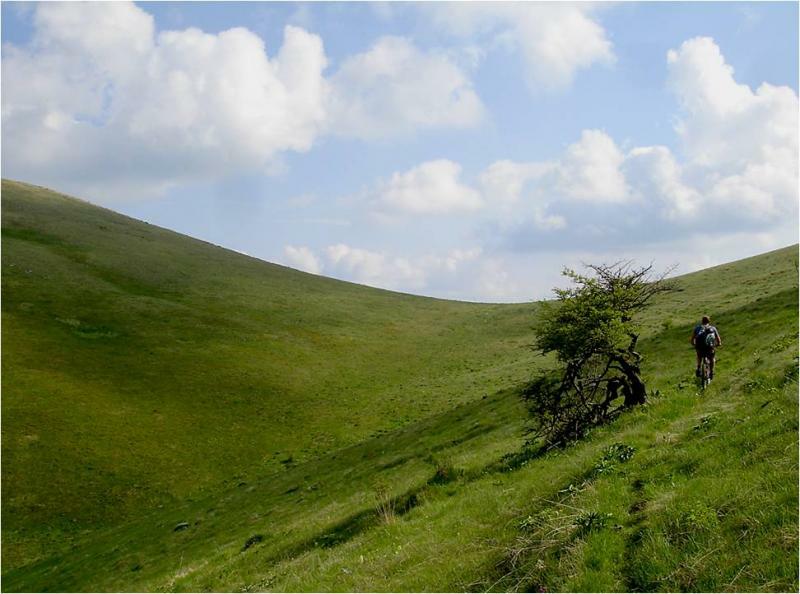 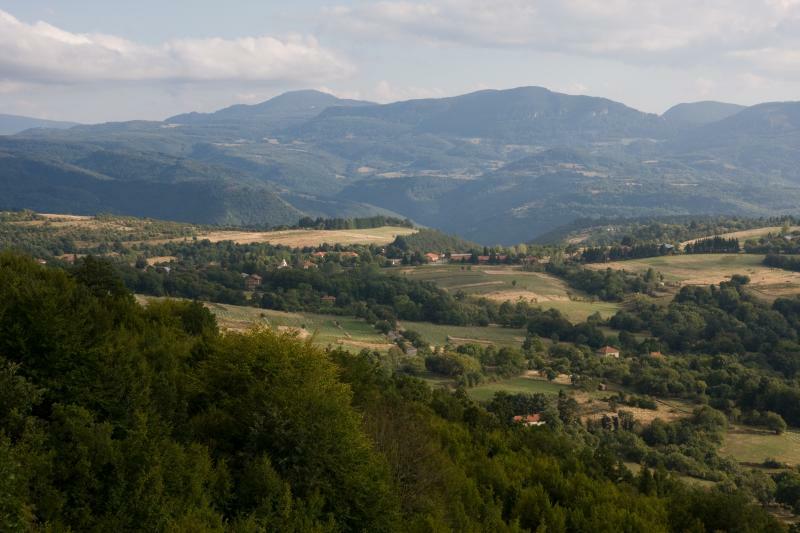 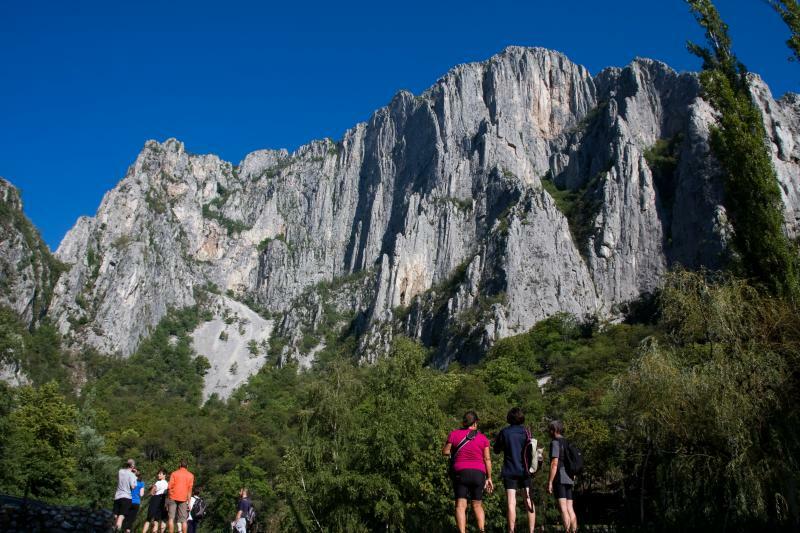 This is a truly unforgettable adventure, varied in many ways and especially created to show you the best of this amazing part of the Balkan Mountains. 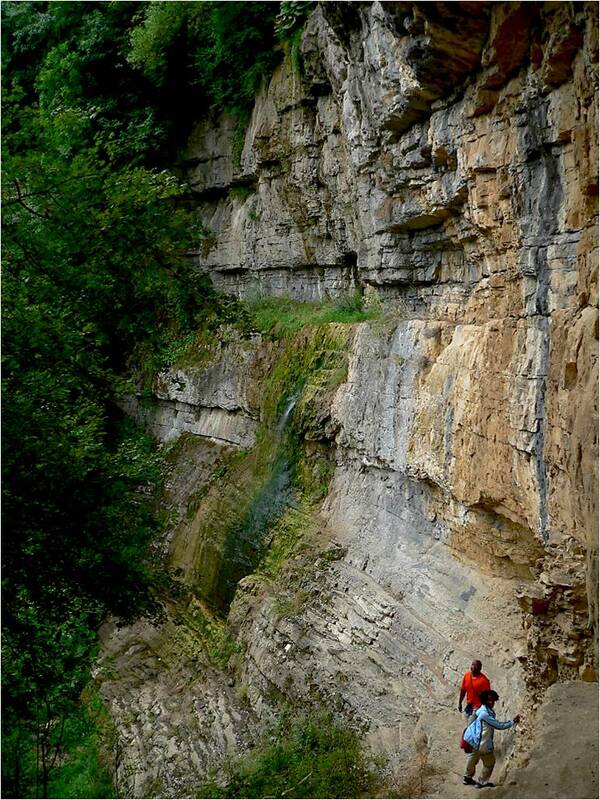 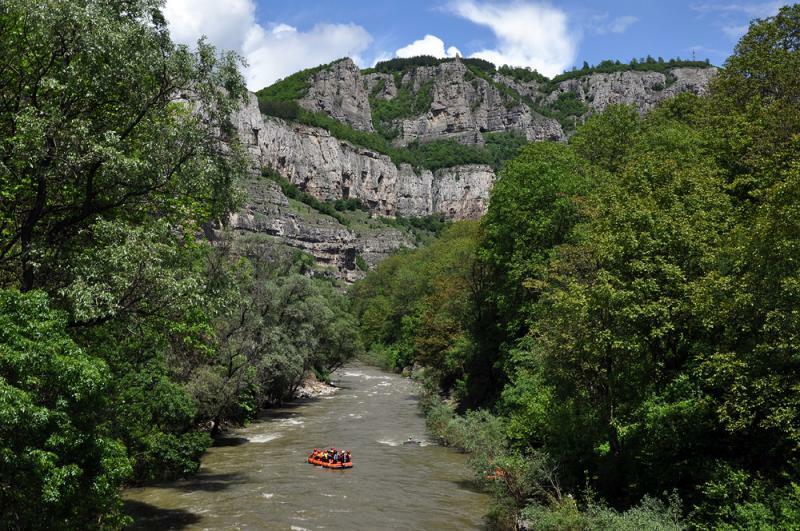 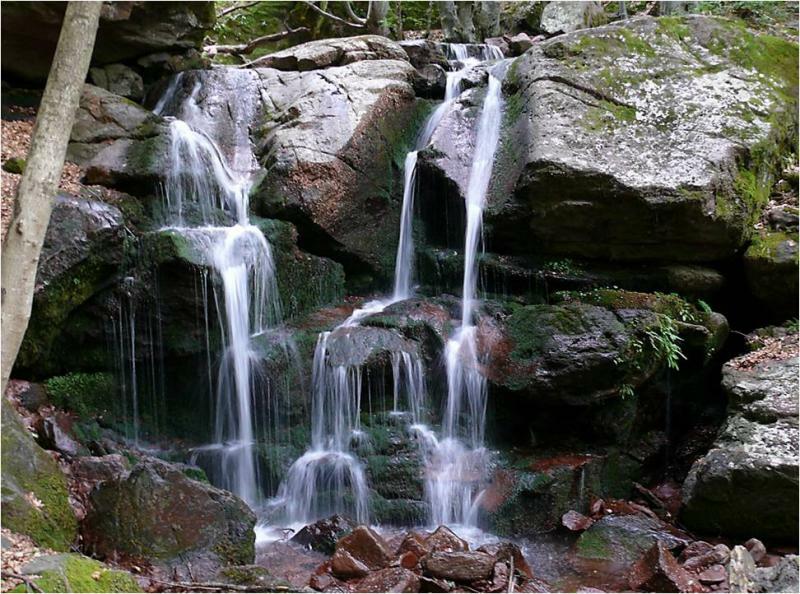 ♦ Iskar gorge – going all through the Balkan mountains from south to north it is one of the most beautiful, deepest and longest (156km) river gorge in Bulgaria with numerous rock formations, waterfalls, scattered mountain villages and beautiful nature. 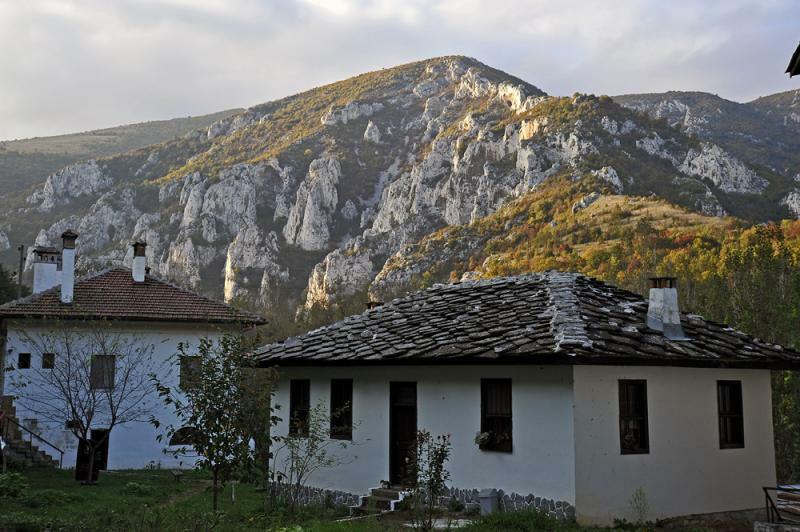 ♦ Ledenika cave – only 300m long but one of the most beautiful caves in Bulgaria with 10 halls, numerous cave formation and icy stalactites in winter time. 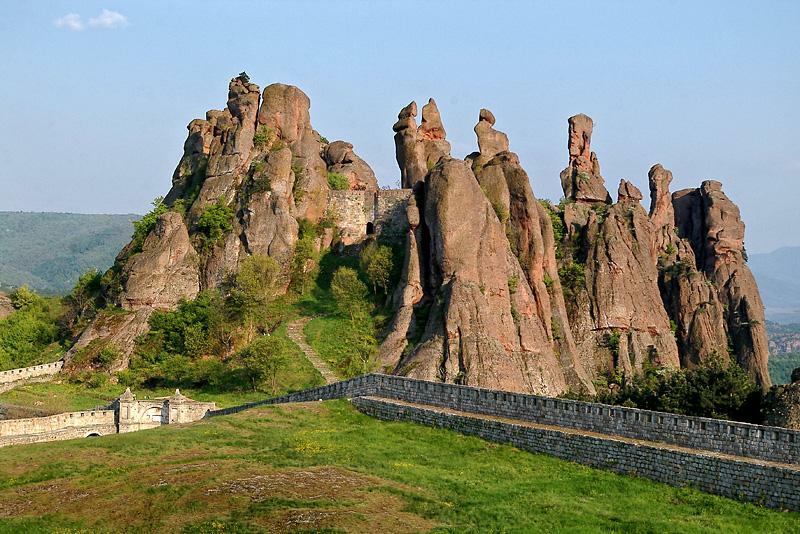 ♦ Belogradchik rocks – natural sandstone phenomenon consisting of a group of many red rock figures up to 200 m high, resembling living creatures. 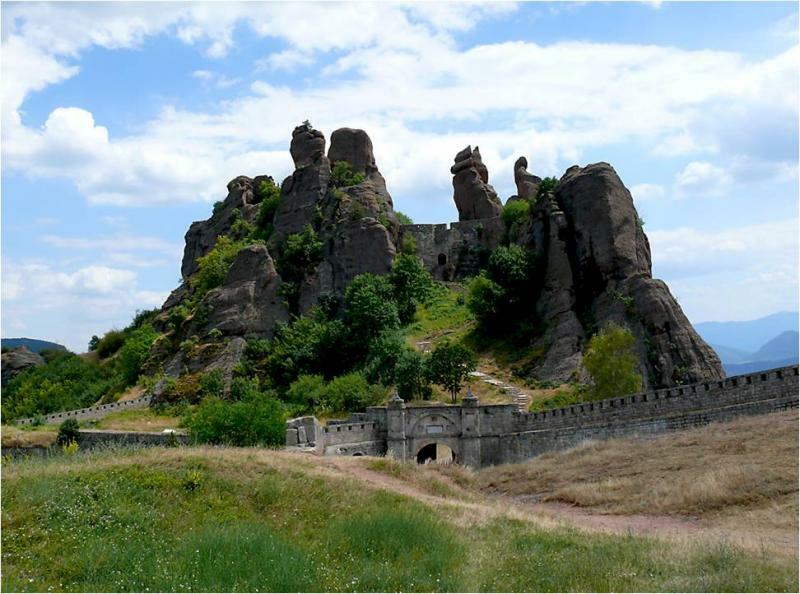 Like in a fairy tale the medieval fortress Kaleto rises up at the top of the rocks. 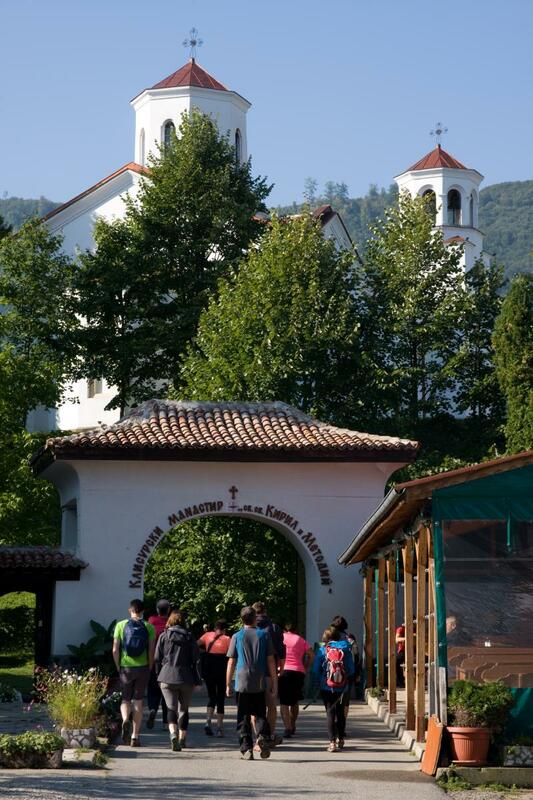 Meeting at Sofia airport. 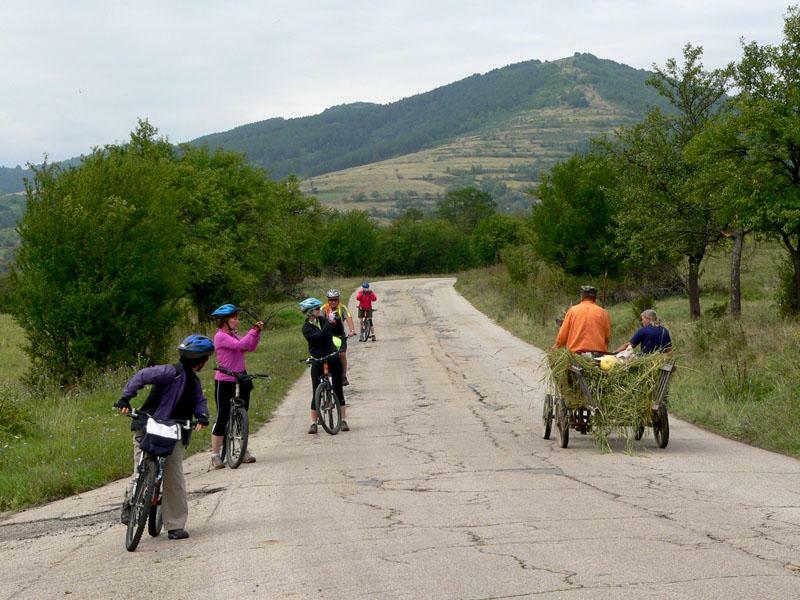 Transfer to our hotel for overnight. 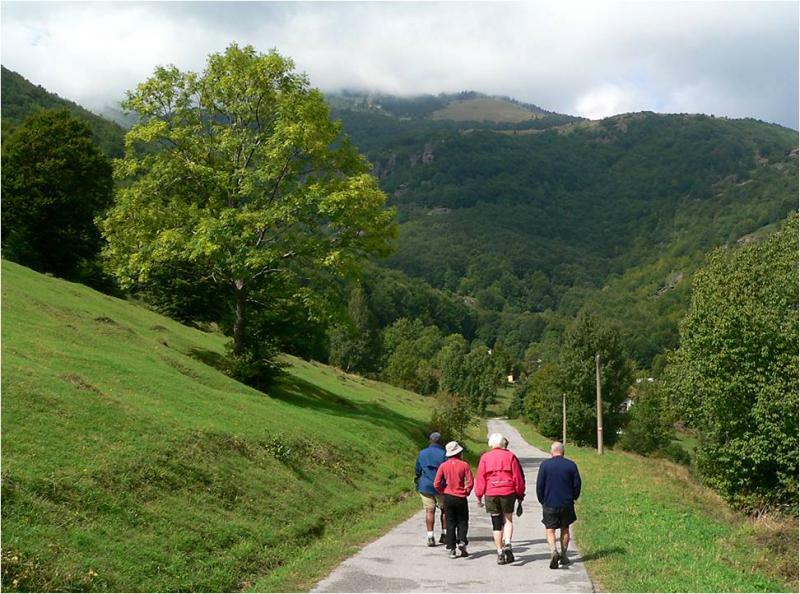 ♦ Walking specifics: we walk on nice trekking paths or eco trails with moderate level of diffuculty and rocky terrain at some stages. 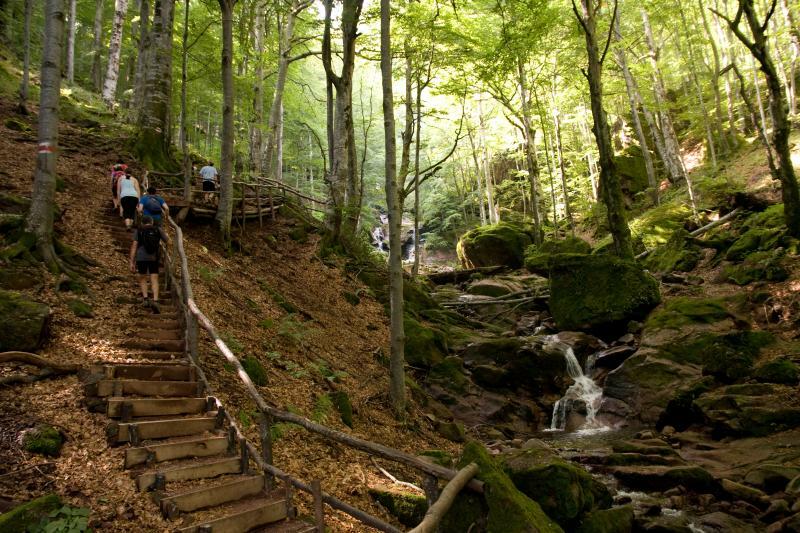 Walking on the eco trails includes climbing up and down wooden stairs and footpaths. 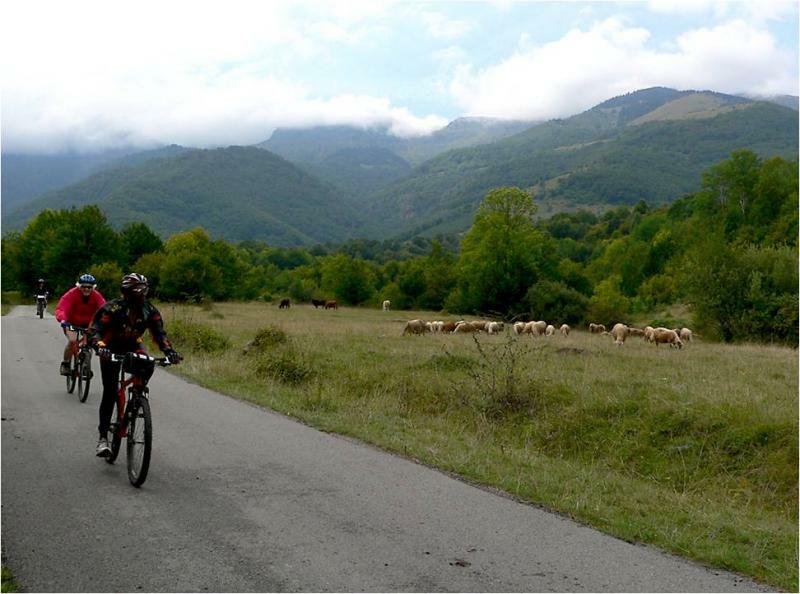 ♦ Biking terrain: we use mainly dirt and macadam roads and some asphalt roads. 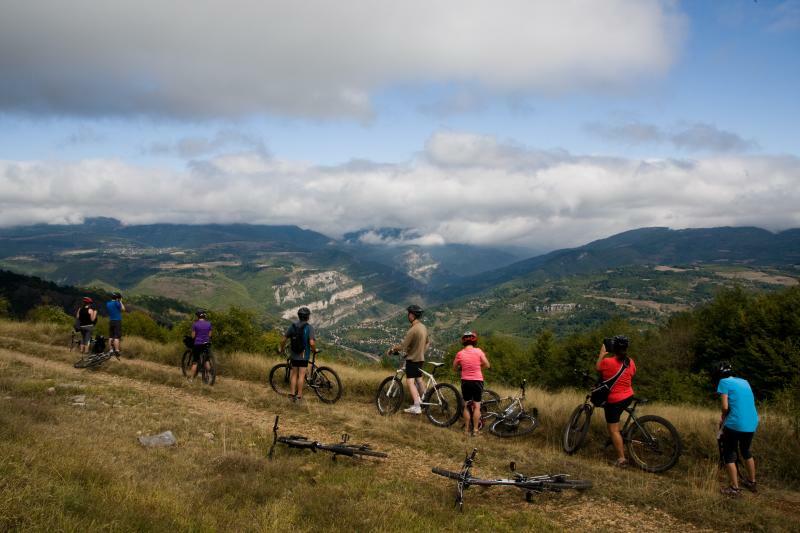 Routes are with moderatelevel of difficultiy with short uphills and mainly flat and downhill biking. 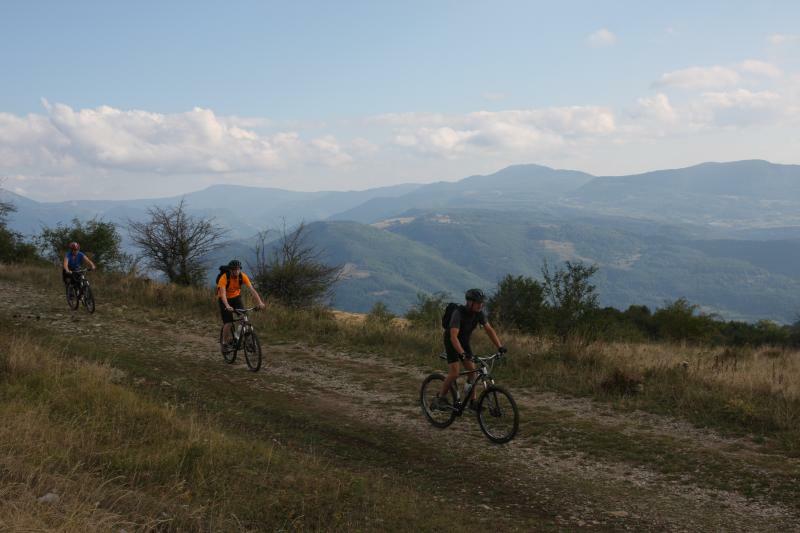 Short but steep descends on rocky roads included. 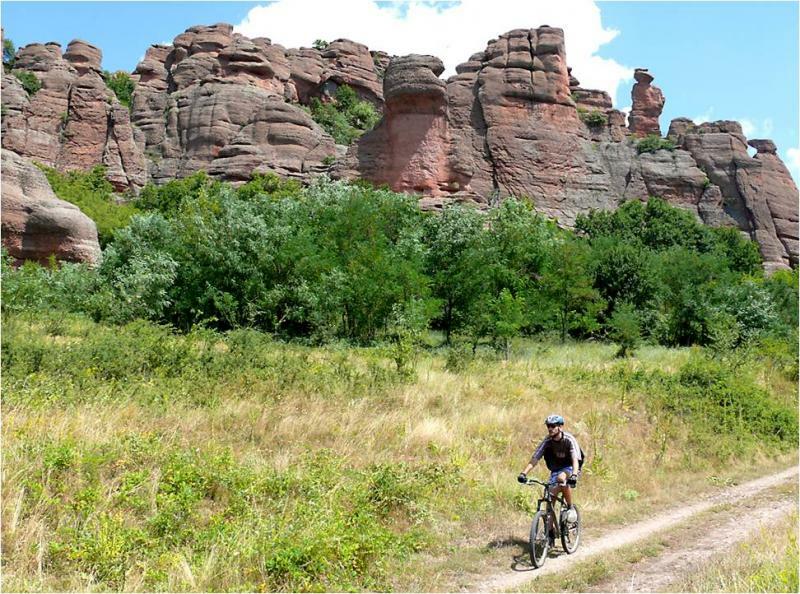 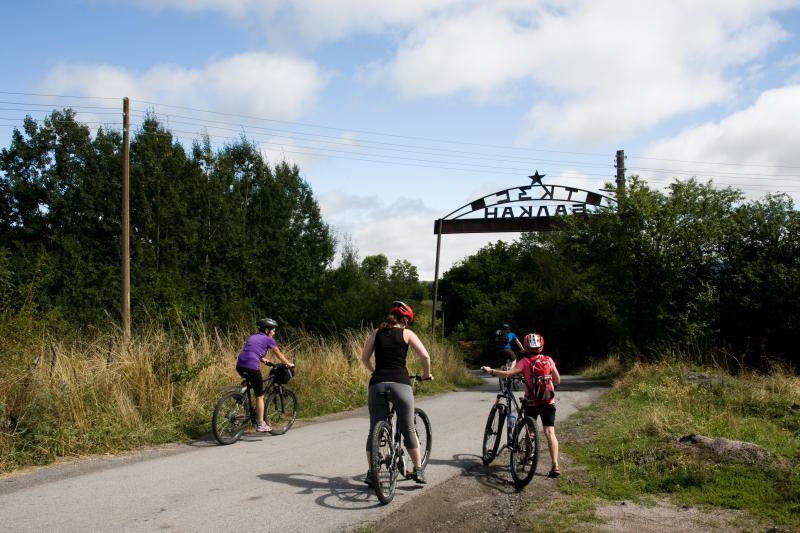 Most of the days offer an option for easier biking routes.